The Irish duo of Mark Downey and Felix English in action against some of the biggest names in the sport at the high octane London Six Day opening session last night. 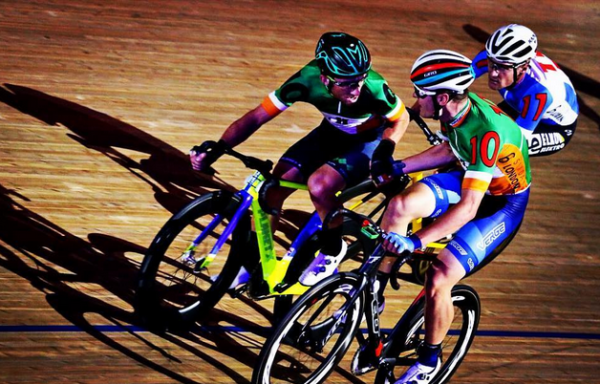 Irish pair Mark Downey and Felix English have secured an invite to the London Six Day and just missed out on a win last night. In the first day of competition their best result was 2nd in the two-lap Madison TT. They just lost out to Danish pair Niklas Larsen and Casper Von Folsach. English also took 2nd place in the 40-lap Derny race where he was beaten into 2nd place by Moreno De Pauw of Belgium. And as a pair the Irish are currently 10th in the general standings.